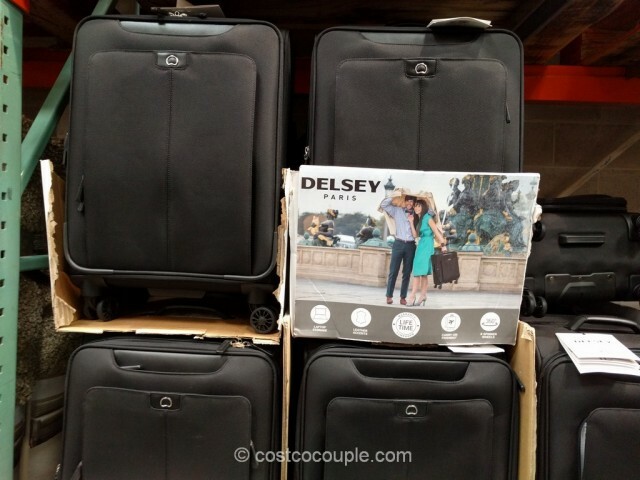 Costco normally carries Samsonite or Ricardo luggage in the store so it’s interesting to spot this Delsey Softside Spinner recently. 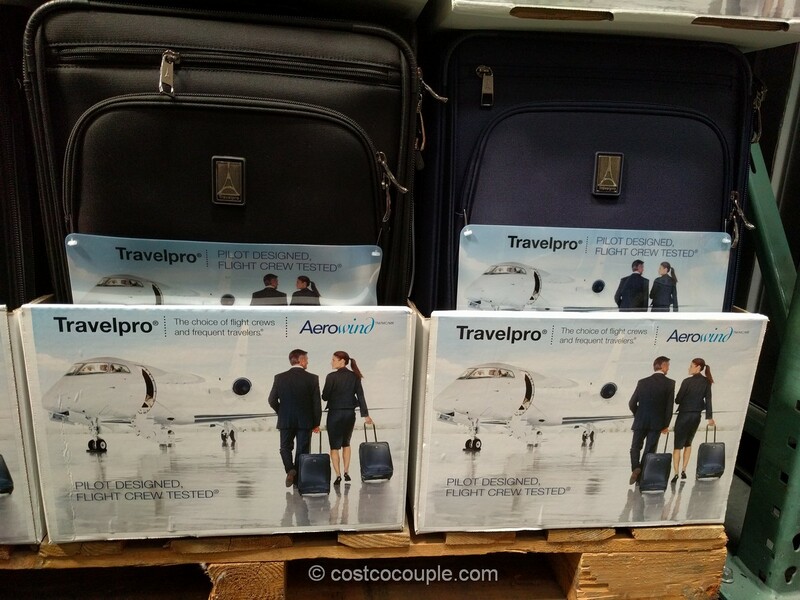 We have a few Delsey pieces ourselves so it’s a brand we like and are familiar with. 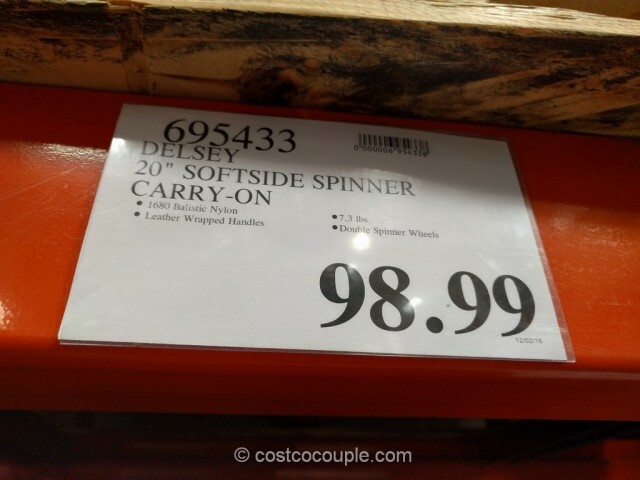 This one is a soft-sided spinner and it’s listed as a 20″ but that’s kinda deceiving. 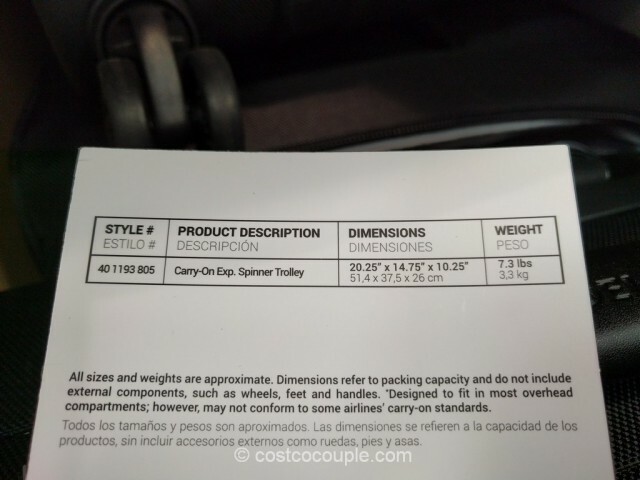 The dimensions printed on the tag was 20.25″ x 14.75″ x 10.25″ but the fine print indicated that it refers to the packing capacity (interior dimensions). 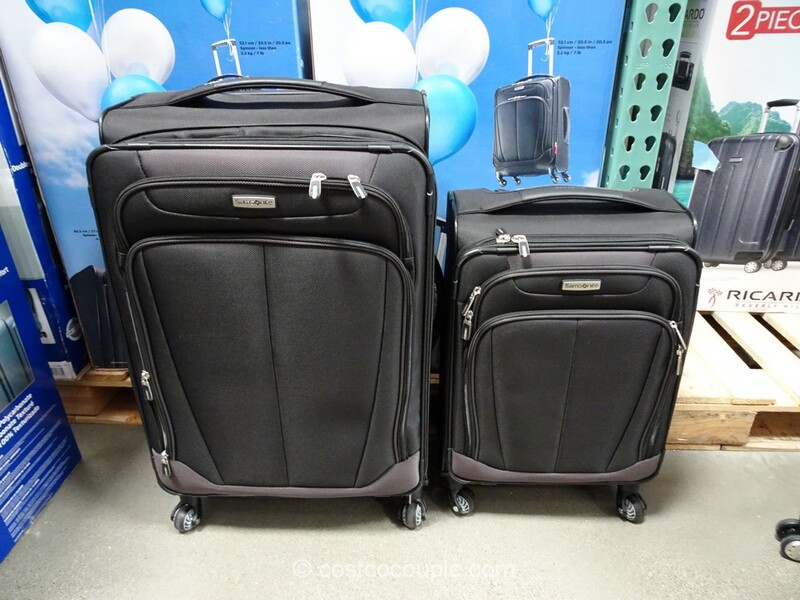 Thus, the actual exterior dimensions including wheels will be larger and may not conform to the carry-on standards. 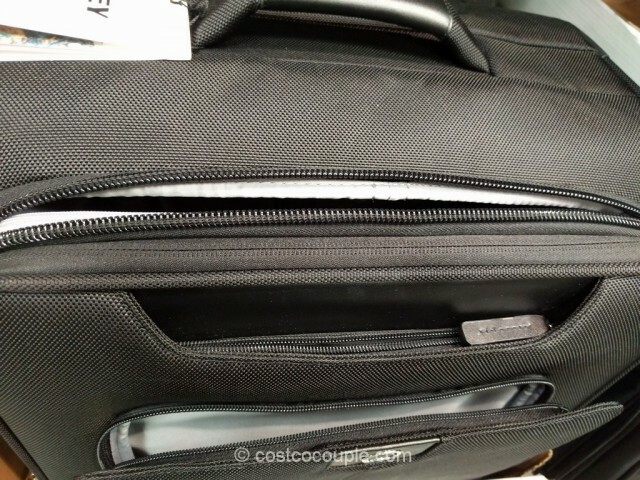 I don’t know why these luggage companies continue to make pieces that do not fit the airline’s limits. Anyway, this spinner weighs 7.3 lbs. 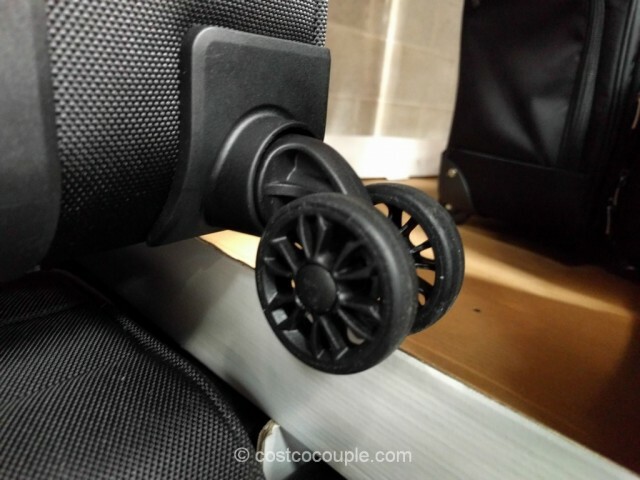 There’s one small and one large pocket on the exterior. 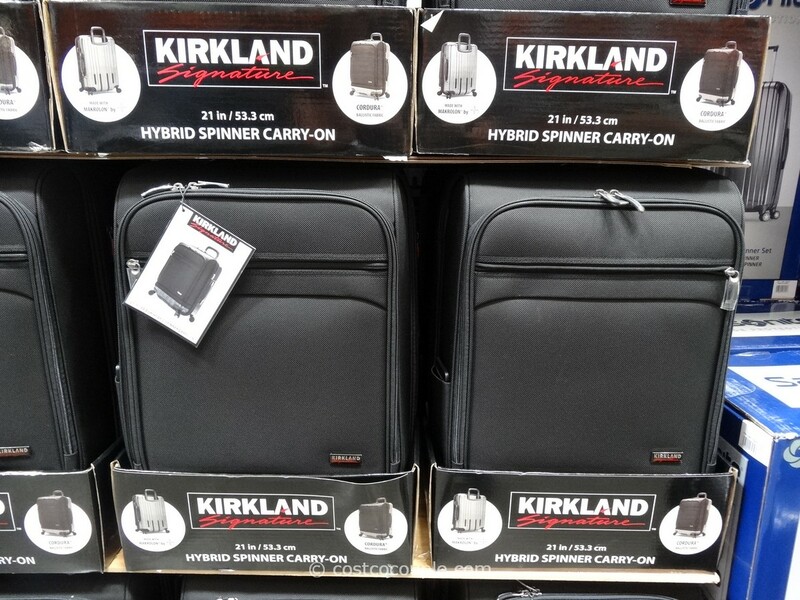 The Delsey Softside Spinner is priced at $98.99.